Have you ever heard of a game called Long Live the Queen? It’s a game about raising a young princess into the type of queen you want her to be. You can raise her to be gentle, raise her to be tyrannical, or even make her become a magical girl! Nope, I’m not kidding. I was pretty obsessed with this game for a few weeks in 2013! I found it to be very challenging, because there were numerous ways the protagonist could get killed over the course of the game. Each death was accompanied by a cute little graphic depicting your poor dead princess. Those illustrations were so adorable that I couldn’t resist putting something similar into Yandere Sim! None of these Challenges are actually active or being tracked by the game right now, but the Challenge screen gives you a peek at what’s to come in the future. 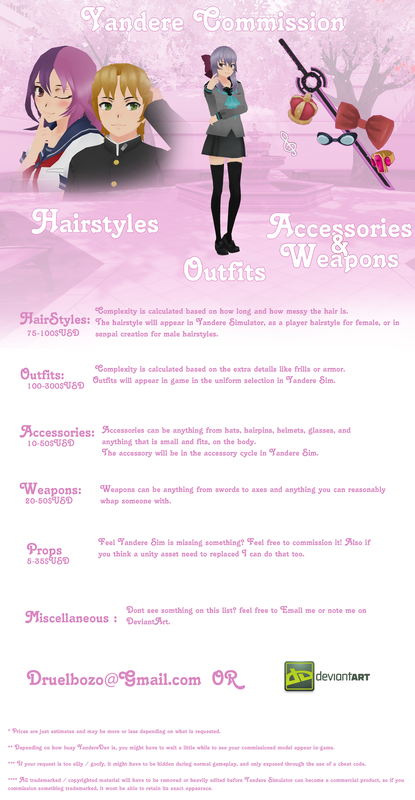 Yandere Simulator’s Challenge icons are illustrated by a talented artist who goes by the name of Bakki. I’m super thrilled with the work that Bakki has done on the Challenge icons! 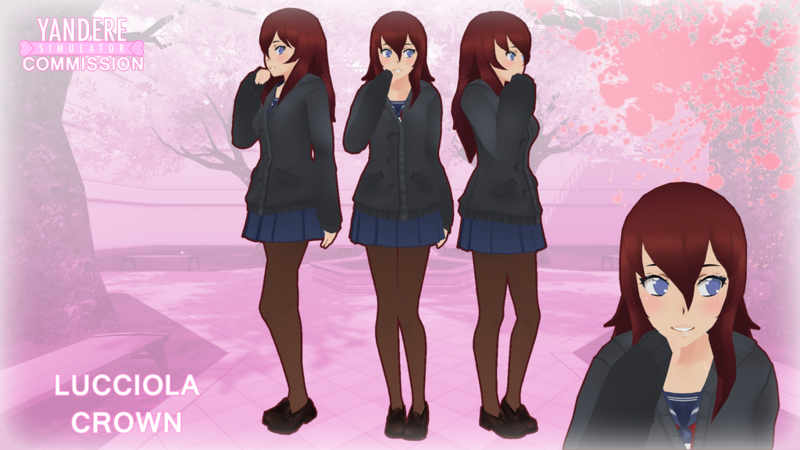 Unfortunately, it’s far too soon to show you all of the wonderful artwork he has made for Yandere Sim; your reward for completing Challenges is to see Bakki’s illustrations, so I definitely shouldn’t “spoil” them with a blog post. However, I am willing to show you the “silhouette” versions of some Challenge icons that have not yet been added to the game. You can click the image below to be taken to a gallery of Challenge icons that will be added to the game soon. Can you figure out how each Challenge will be completed, based on silhouette alone? How many Challenges will there be in the final game? I’m not sure, but I plan to implement as many as possible to give the game tons of replay value! Wow, I didn’t expect the update to be delayed for this long! I can confirm that tremendous progress has been made with the cut-scene that is delaying the build; at this point, only animation tweaks and bug-testing are remaining. However, I strongly believe that I should officially postpone the build until June 1st so that I can have as much time as possible to polish things. I wouldn’t want to submit a buggy build that requires me to spend seven consecutive days submitting bug fixes…especially after making you wait so long for it! In the meantime, I’ll give you another preview of upcoming content. Are you familiar with a manga called Jojo’s Bizarre Adventure? I became quite a fan of it after watching the 2012 anime adaptation. One of the most iconic elements from JBA are Stands – you can think of them as “guardian spirits” who fight alongside their masters. (It’s a lot more complicated than that, but I’m trying to keep this brief.) Every Stand is unique, but many of them are humanoid and float behind their masters. I’m absolutely thrilled with the new Stand model! Soon it will be rigged and animated, and then it can be added to the game at long last. Easter eggs are extremely low on my priority list, but every now and then, I gotta take a short break and create something silly, just for the fun of it. I hope you’ll enjoy using the Stand once it becomes available! The next update still isn’t ready yet, so I’m going to give you a preview of upcoming content today. Look, it can be re-colored for the Occult Club! Perhaps this paves the way for a white lab coat for the Science Club, as well! This wouldn’t have been possible without the breakthrough that occured yesterday. So many new options have opened up! Exciting! The next build isn’t ready yet, but I have good news! We’ve had a breakthrough today! First, a bit of backstory is in order. 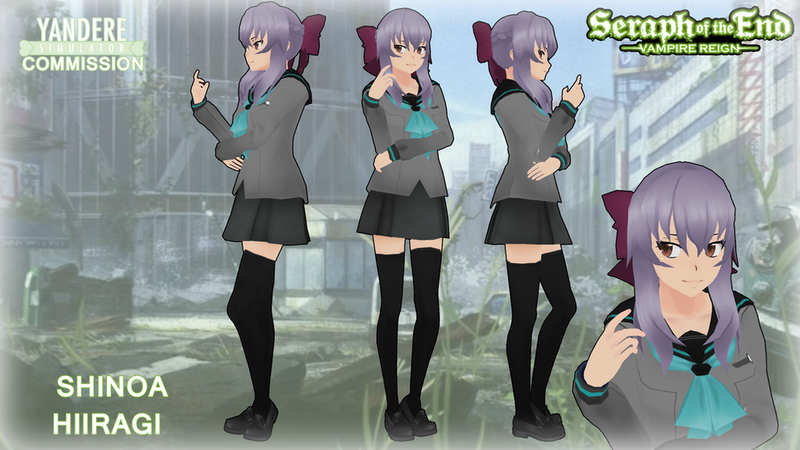 For those of you who don’t know this, Yandere-chan’s current character model is a store-bought model from the Unity Asset Store. 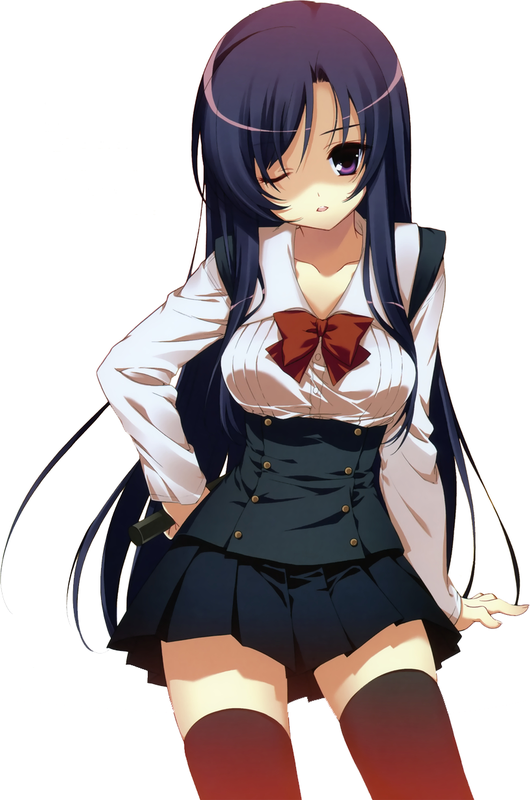 The same goes for Rival-chan, Senpai-Kun, and even the Basu sisters. These characters come with numerous outfits and around 60 animations, which is what makes them perfect for prototyping a game. Over the past 25 months that the game has been in development, I have run into problems when attempting to modify the characters’ clothing. It has proven very easy to change the characters’ textures, but when attempting to change the characters’ geometry, I’ve always run into…problems. However, even though the apron was built to use the same “animation skeleton” as Yandere-chan and follow her movements, I was unable to get the apron to follow her body as she moved. Imagine a person wearing pants, but when they walk, their pants remain perfectly straight, and never bend, even as the legs are moving. That’s what it was like, except with an apron instead of pants! I tried absolutely everything I could think of to get that apron to follow her body. I called upon every bit of knowledge from all of my years of experience using the Unity engine, and even asked numerous programmers to help me solve the issue. However, the problem remained unsolvable; it seemed impossible to append a new skinned mesh to a character model. Because I couldn’t modify the characters’ meshes and couldn’t append new skinned meshes, I’ve been stuck with a small set of clothing models that I couldn’t modify in any way. I’ve had to make each character unique using nothing but hairstyles, accessories, and changing the colors of various textures. In other words: for the past 25 months, I’ve been severely limited in how I could modify the characters. 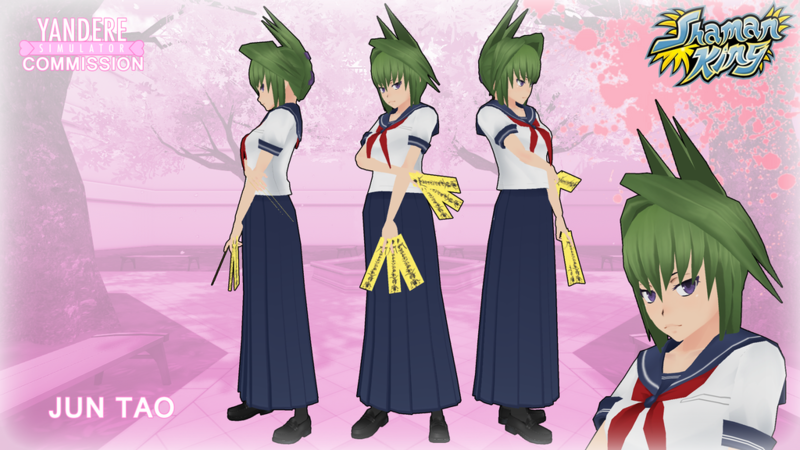 My original vision for the game was to make almost every student in school look completely unique by allowing each character to wear their school uniform differently. Some boys would open their coats, some boys would leave their coats closed. Some girls would wear jackets over their uniforms, some girls would wear cardigans. Unfortunately, I was never able to implement this feature, because I was never able to figure out how to make a new article of clothing follow a character’s animations. Yesterday, a talented gentleman named Gabe Labadie contacted me. He mentioned that he had several years of experience using the same game engine that Yandere Simulator runs on, and offered to help me out. I asked him to help me get skinned meshes to follow along with a character’s animations. Within 24 hours, the task was complete! 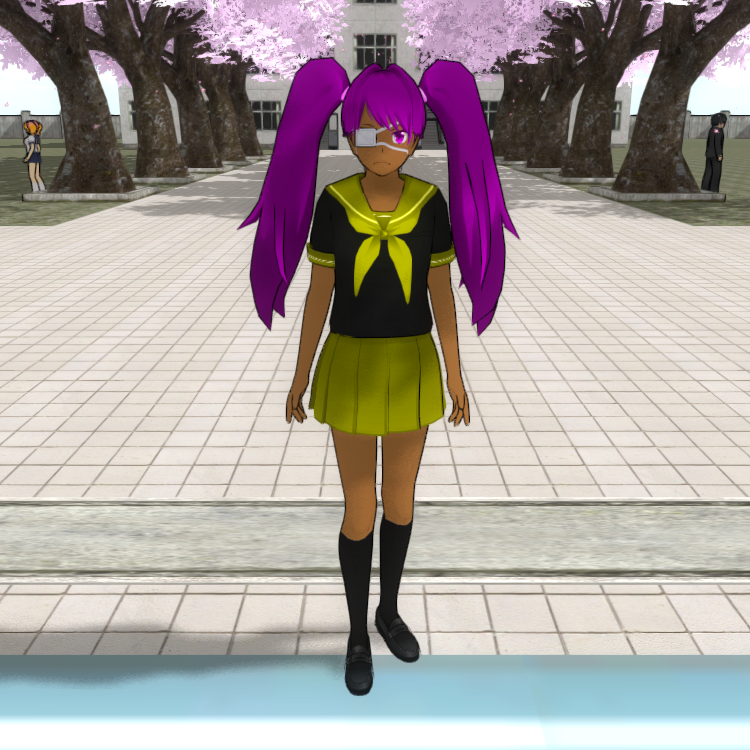 It is now possible for me to add new articles of clothing to Yandere-chan’s body, and have the clothing move properly as she performs various animations! He actually did it! The absolute madman! I didn’t want to get too excited, so I decided to confirm that his code worked by testing it on two articles of clothing that Druelbozo has modeled. 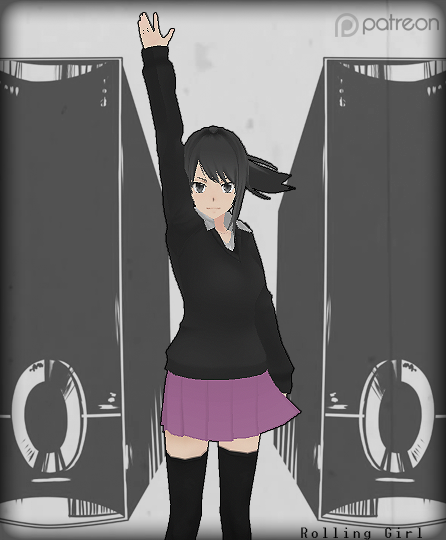 Both the Rolling Girl uniform and this black sweater worked perfectly! There’s no reason why this outfit shouldn’t work, either! Oka Ruto’s official design featured a turtleneck worn underneath a blazer. This design was scrapped because I had no way to have two layers of clothing simultaneously following a character’s animations. But thanks to Gabe’s help, now it’s finally possible! Of course, this new ability won’t just be used for aesthetic purposes; this opens up new gameplay options, too! Try to think of an outfit that would benefit a serial killer who is constantly being splattered with blood. Are you thinking what I’m thinking? Ah, why stop at just one preview image? Let’s have two this time! Thank you for your patience! Hopefully the wait won’t be much longer! The next update still isn’t ready yet. On the plus side, I’m getting lots of things done while I’m waiting for the assets that I need. Beyond this, there are several other corpse disposal methods that I’m planning to add to the game…hopefully they will be added sooner rather than later! The counselor has some new animations! Now she actually breathes and types on her computer. You’ll also see her place her hand on her chin in contemplation from time to time. And when you speak to her, she straightens her posture when giving you attention. The player is only allowed to report a student to the guidance counselor once per day. Previously, there was no way for the player to know this, so I received a lot of bug reports saying “Sometimes the player can’t interact with the counselor!” She will now speak a voiced line when the player is not allowed to speak to her. The release date of the next build is still “sometime between now and June 1st”. Thank you for your patience!